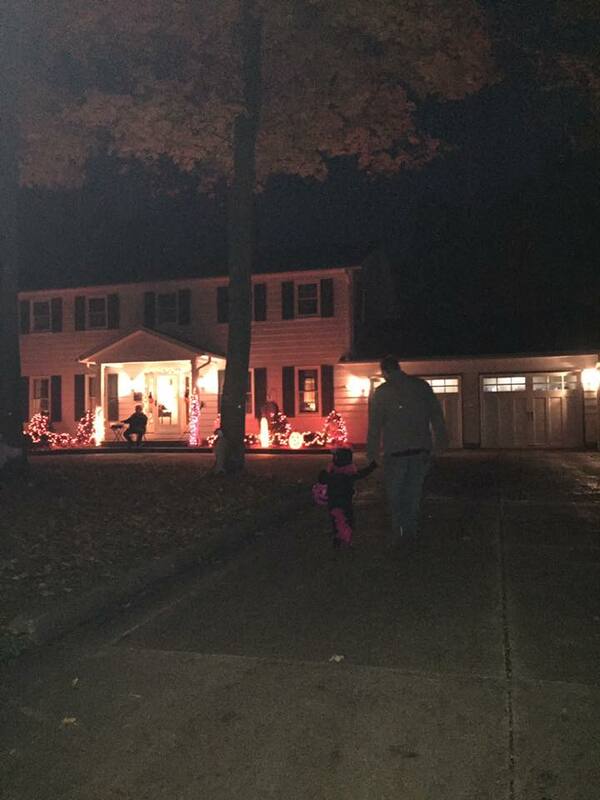 I hope you all had a Happy Halloween. We sure did! 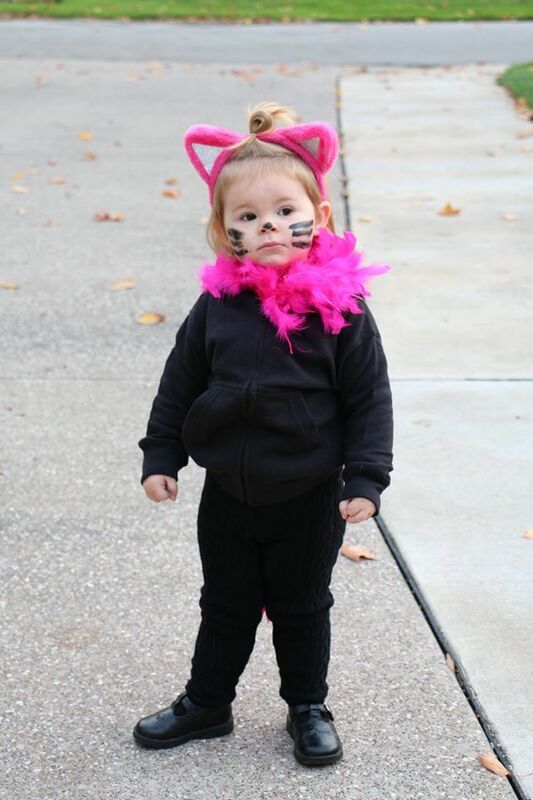 This year, when thinking about what Piper should be for Halloween, no costume stuck out more in my head than a kitty cat. Piper loves "kitties" right now. She may even like them more than "gogs" (dogs). 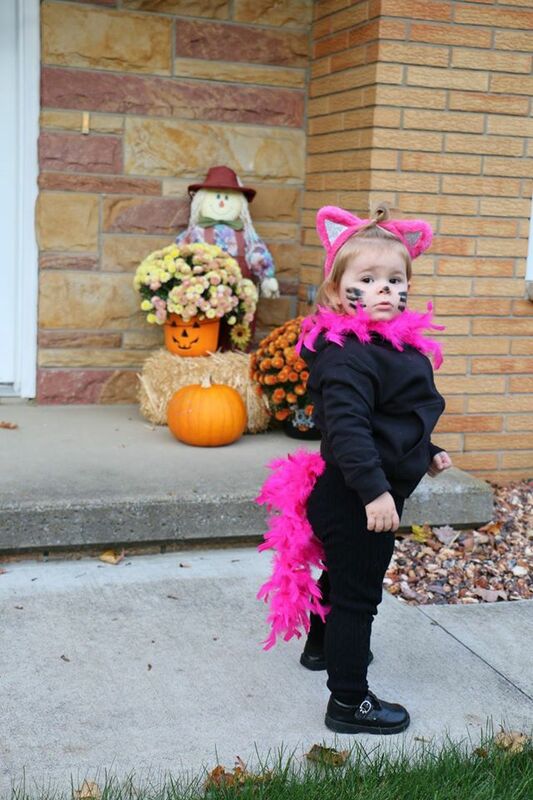 She loves to "ooowe" (meow) like a kitty, too. 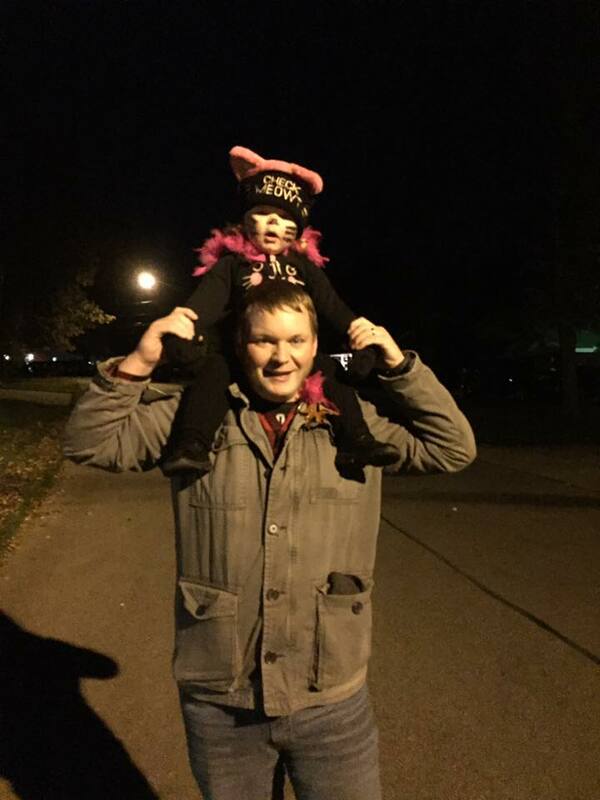 Piper's first official "trick or treat" around the neighborhood! We had so much fun tonight!! 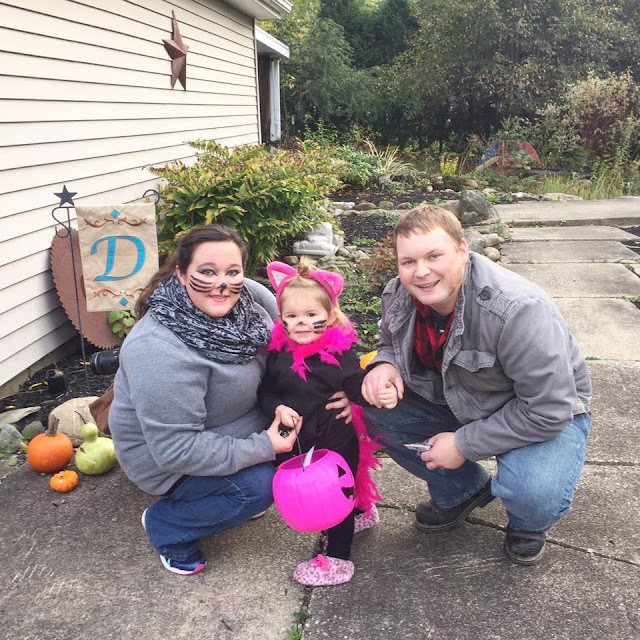 The kitty costume was the perfect way to make Halloween all about Piper and what she loves right now as an almost-two-year old. Next year, Piper will be telling me exactly what she wants to be for Halloween and that will be so much fun! 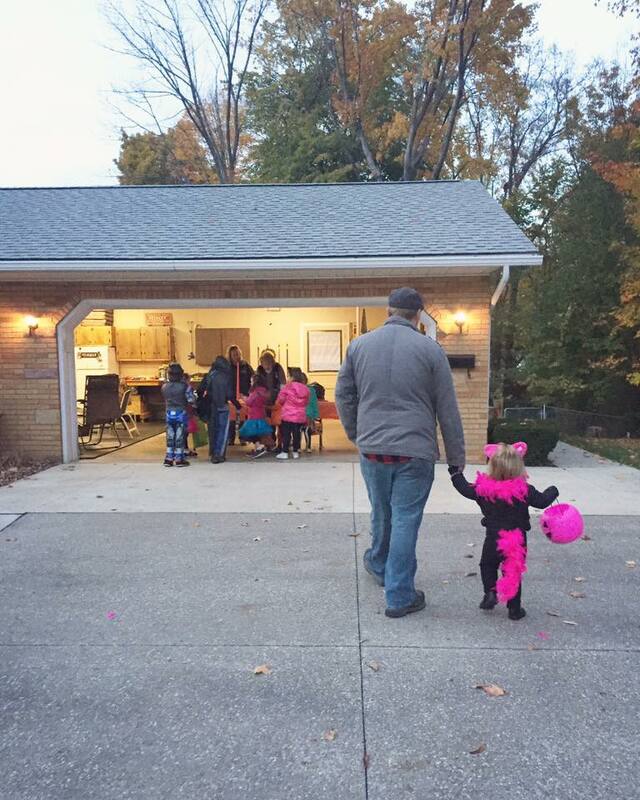 Every year, for Halloween, we hand out candy at "nana" and "papa's" house. They live right down the road from us, and their neighborhood gets a lot more kid-traffic than we do for trick or treating. 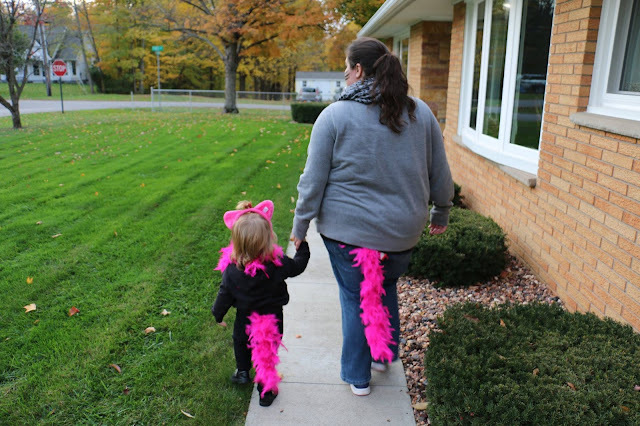 Last year, Piper wasn't walking for Halloween, and she was too little to eat candy. We didn't get to go trick or treating last year but, this year Piper was ready to go! 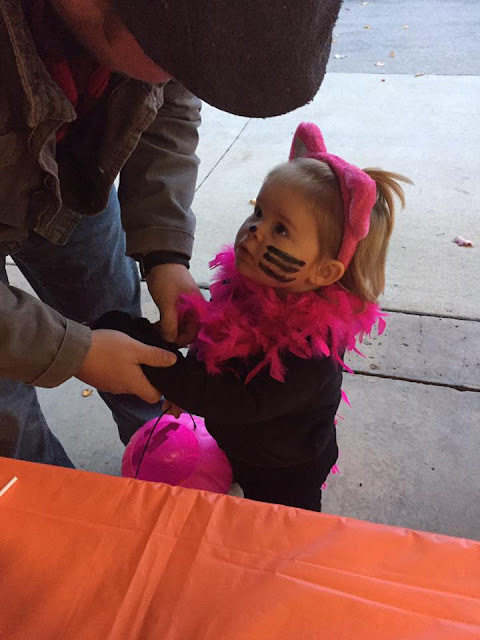 It was her first year going around for trick or treat and she loved it! Her favorite candy of the night was suckers, especially the blue ones. We had to take a couple sucker breaks along the way, so she could have a taste. I was so happy to take Piper trick or treating this year. 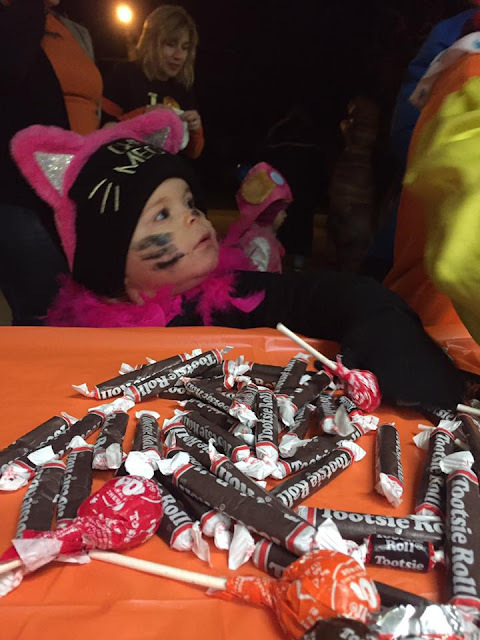 While she certainly didn't need the candy (we gave most of her candy right back to kids at my "nana" and "papa's" house), we wanted her to share in the experience of it all. 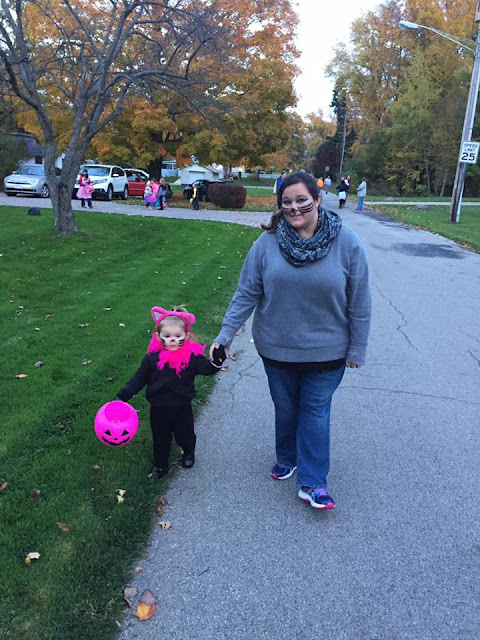 It brought so much joy to our hearts to watch Piper having fun walking along with the other kids on the streets, and saying "boo" to the people handing out candy. It was adorable and I will never forget it! This is such a sweet age. While I would love to keep Piper little like this, I am so excited to see exactly who she becomes, year after year. She brings so much joy to our lives!